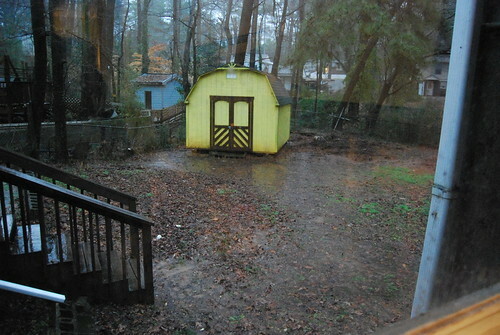 It has been raining hard all night and all morning. This picture was taken a few days ago, but that’s pretty much what it looks like now. I am not sure how to go about solving this problem – you would you contact with a problem like this? Landscaper? This entry was posted in backyard, issues. Bookmark the permalink.